NASA (U.S. National Aeronautics and Space Administration) has released a brand new Facebook game, which tests your knowledge in the space program’s history, technology, science and pop culture. 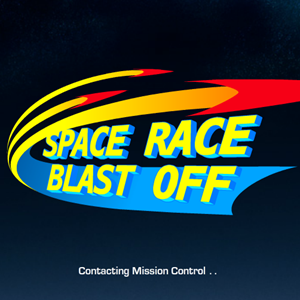 If you know lots and lots about space, or if you’ve always wanted to learn more, playing NASA’s Space Race Blastoff is going to become your new favorite pastime. The game can be played in multiplayer mode, against other users, or in solo mode. The goal is to answer space-related questions correctly, and as fast as possible, and earn as many points and badges as you possibly can. The first time you play, you will have to choose an avatar and a name, and will then be faced with 10 multiple-choice questions about the space program, the solar system, aeronautics and more. The first round is played against two other players; for each correct answer, you’re awarded 100 points, and if you were the fastest to answer, you get an additional 20-points bonus. The winner of the round advances to a bonus round, which includes one question, and can earn you up to 1,500 additional points. If you answer the bonus question correctly, you get a badge. You can also use the points you earn to buy more badges, so look out for those bonus points. According to NASA, they’re “hoping Space Race Blastoff opens up NASA’s history and research to a wide new audience of people accustomed to using social media”, and they “chose to make the game available through Facebook to take advantage of the social media site’s large audience and enable players to compete against others”. The game is surprisingly fun to play, the question repository is large, and the whole thing is somewhat reminiscent to the ancient Cosmic Consensus. Go ahead and try it out. And don’t forget to let us know it the comments what you think! Explore more about: Astronomy, Facebook.